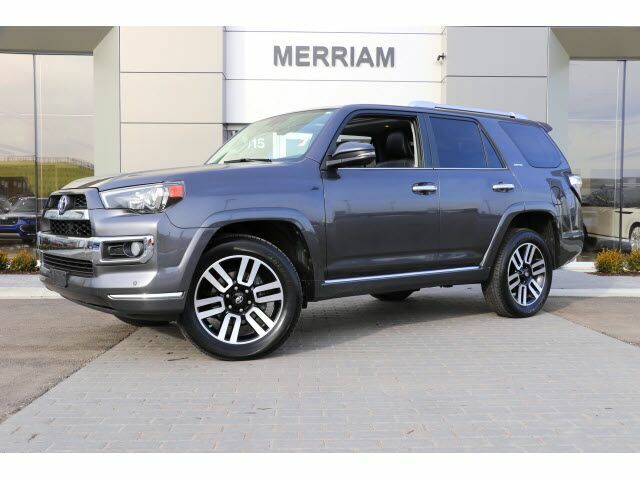 2014 4Runner Limited in Magnetic Gray Metallic over Black Leather Interior, local 1-owner trade in. Clean Inside and Out and Nicely Optioned with Heated Front Seats, Entune Premium JBL Audio, Navigation, Tow Hitch, Smart Key with Pushbutton Start, Moonroof, Auto Up/Down Windows, 2 Zone Climate Control, and More Please Contact Brian Stacy 1-855-979-0255 to Test Drive Today! Aristocrat Motors, Kansas City's premier luxury dealer strives for the highest levels of customer service. Voted "Best in Business" by the readers of Ingram's magazine, our customers are our number one priority.